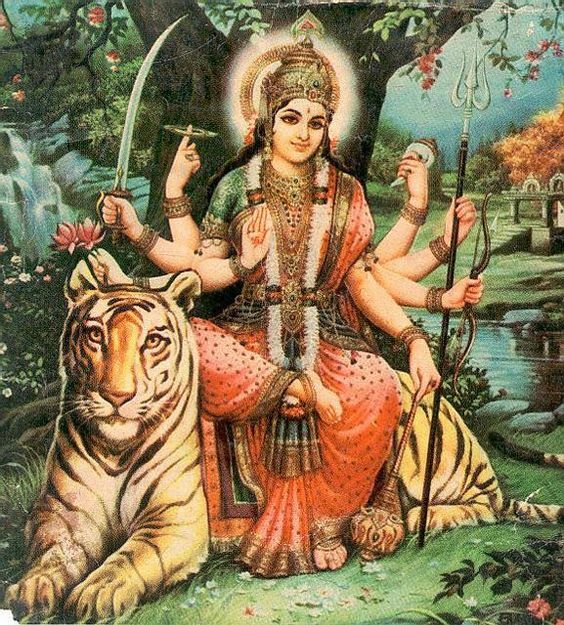 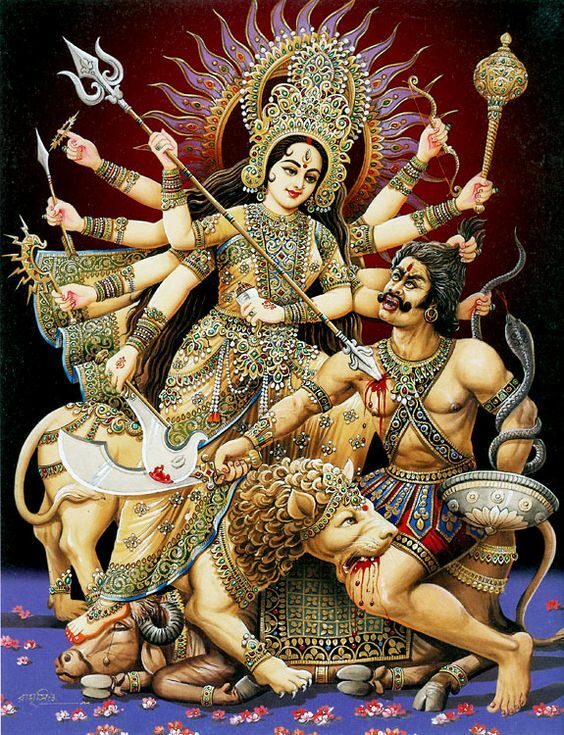 Durga (Sanskrit: दुर्गा Durgā ‘invincible’) is the principal form of the Mother Goddess in Hinduism. 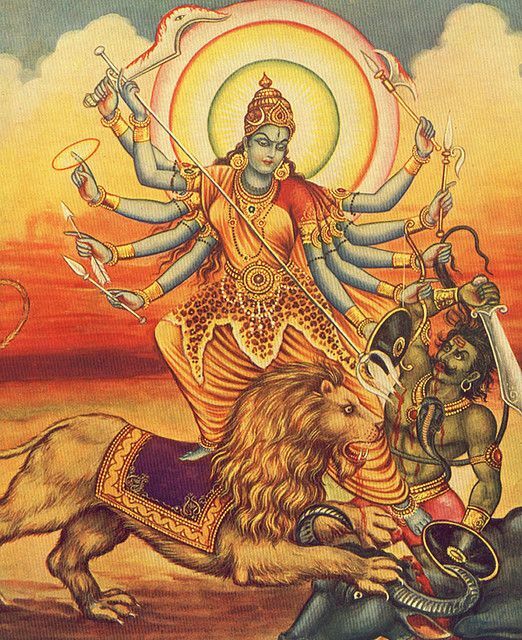 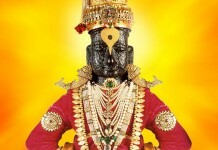 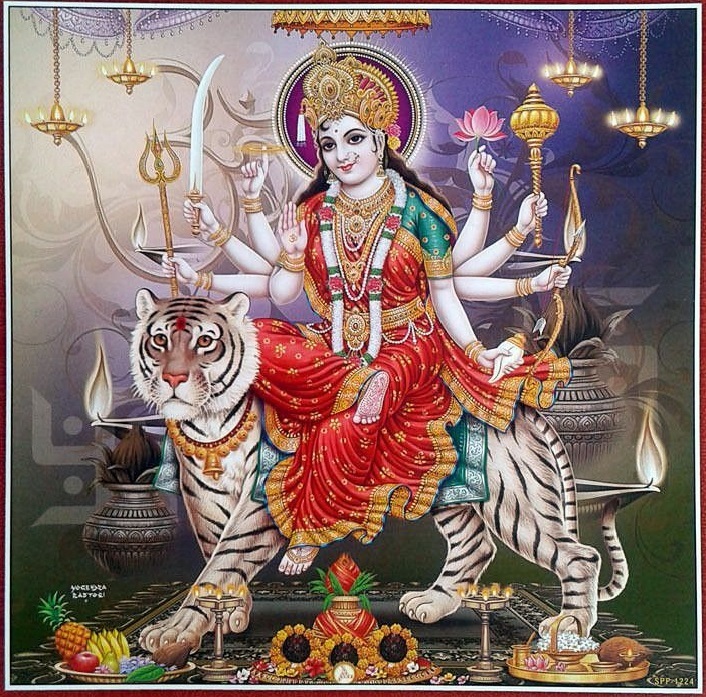 There are many incarnations of Goddess Durga: Kali, Bhagvati, Bhavani, Ambika, Lalita, Gauri, Kandalini, Java, Rajeswari, and has nine appellations: Skandamata, Kushmanda, Shailaputri, Kaalratri, Brahmacharini, Maha Gauri, Katyayani, Chandraghanta and Siddhidatri. 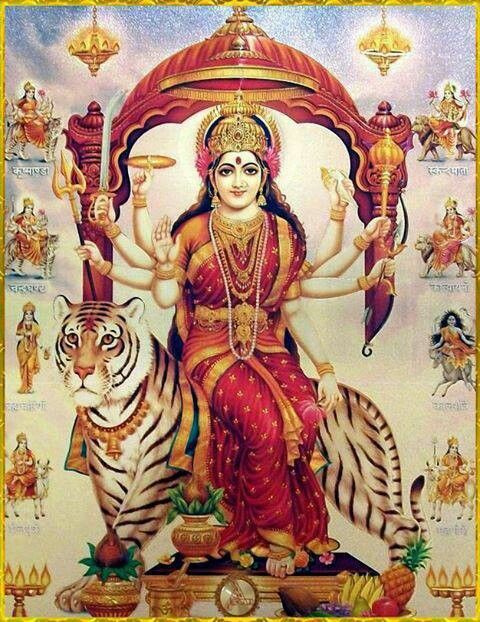 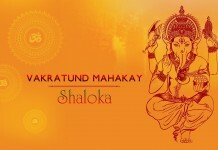 A list of 108 names that is used to describe her is very popularly in use by Hindus and is called Ashtottara Shatanamavali of Goddess Durga.